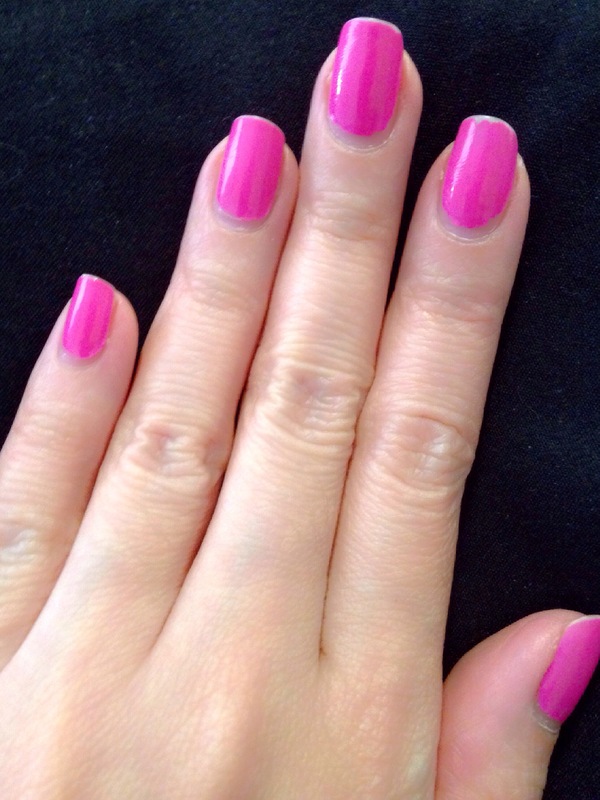 Couple of weeks ago, I posted my “Polish of the Week” wearing a really pretty shade of Pink from Rimmel London (60 sec) shade Pink-A-Boo and even posted an update of how they looked on the ninth day.. Since I always like to start my week with a fresh mani-pedi..here’s my “Polish of the Week”.. This time I am using a different brand and see how long this will last. 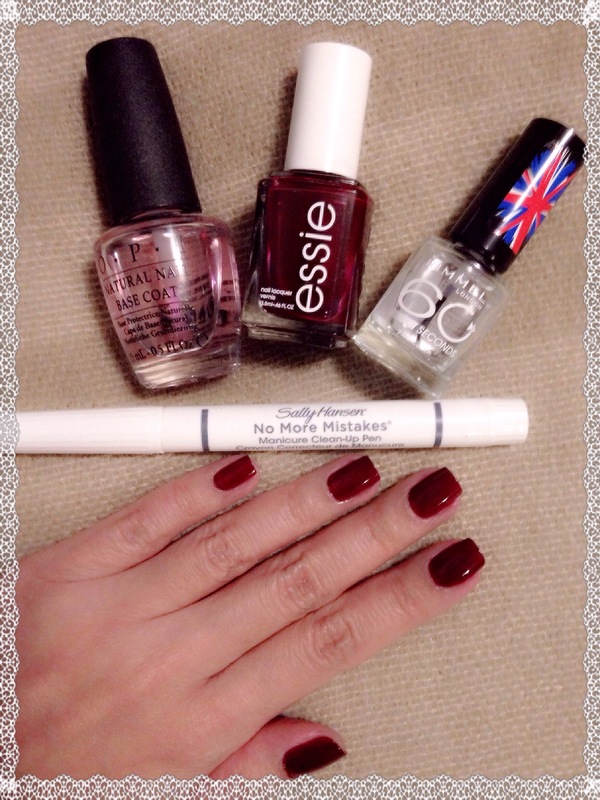 4. cleaned the area with my new found fave Sally Hansen “No More Mistakes” Manicure Clean-Up Pen.